The Waf DotNetPad is a simple and fast code editor that makes fun to program with C# or Visual Basic. 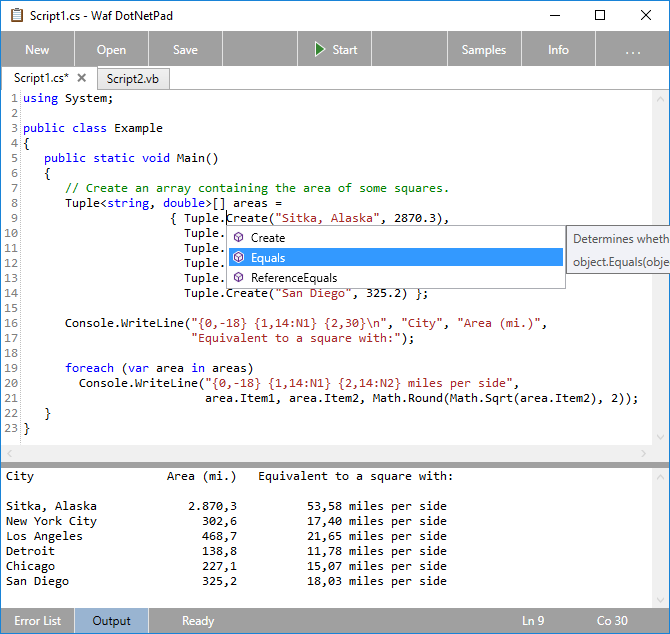 Code editor for C# 7.3 and Visual Basic 15.5. Supports auto completion during programming. Background compilation for immediate feedback in the Error List. Try out your code with the console Output window. The application comes with code samples that shows new language features of C# and Visual Basic.